Special Edition Newsletter on Hep C lawsuits out now! 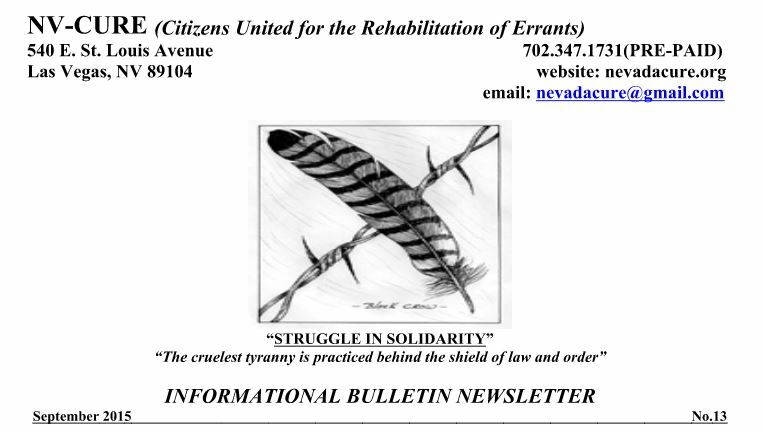 Here is our Special Edition Informational Bulletin nr 21A (Feb. 2017) on Hep C lawsuits that went out to all NV prisoners in contact with NV-CURE regarding representation in a class action lawsuit. It was not sent to all our Members. You may download, print and send to other prisoners. Front part of our extra IB 21A (Feb. 2017) about a Hep C class action. Our Autumn Informational Newsbulletin is out now! You can read the latest Informational Bulletin by clicking here. 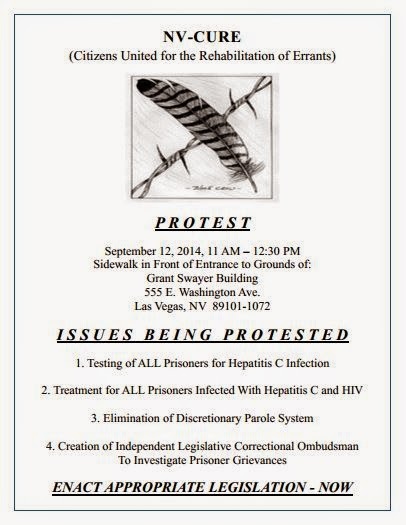 In this IB more attention for the Hepatitis C virus and (non-)treatment inside Nevada’s prisons, hygiene inside the women’s prison, the solitary confinement-survey by ACLU of Nevada, and more. Please consider donating to Nevada-Cure towards the cost of printing and sending this to hundreds of our incarcerated members, thank you! Join NV-CURE! It’s $10.00 per year for people in the community and $2.00 per year for prisoners. Your donations can also go toward your membership. These documents show Nevada Dept. of Corrections’ guidelines they sent us which NDOC uses for determining if a prisoner should be tested for hepatitus C or if a prisoner infected with hepatitis c should be treated by NDOC. The documents were sent to Nevada-Cure by NDOC on February 11th, 2014 at NV Cure’s request. View the hep c documents of NDOC here.